Lee Jae-yong’s trial on a string of corruption charges including bribery and embezzlement has begun in South Korea. The Samsung vice-president and heir apparent was not present at the preliminary hearing, but his lawyer denied all charges on his behalf. Four other Samsung executives who are also facing trial have also denied wrongdoing. Lee Jae-yong, professionally known as Jay Y. Lee, is currently vice-chairman of Samsung Electronics. But since his father, Lee Kun-hee, suffered a heart attack in 2014, he is considered de facto boss of the entire Samsung Group conglomerate. He is accused of giving donations worth 41 billion won ($36 million) non-profit foundations operated by Choi Soon-sil, a friend of Park Geun-hye. 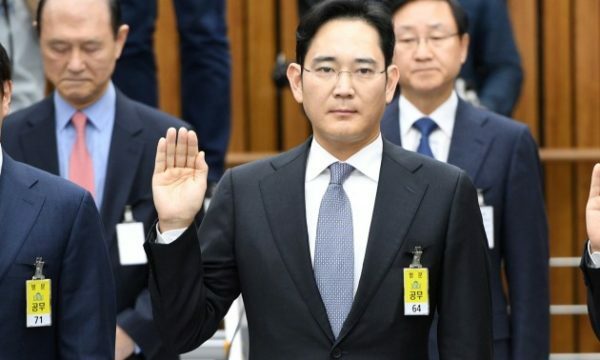 Prosecutors have alleged this was done to win government support for a big restructuring of Samsung that would help a smooth leadership transition in favor of Lee Jae-yong. Lee Jae-yongalso confirmed the company gave a horse and money to help the equestrian career of Choi Soon-sil’s daughter, Chung Yoo-ra, something he said he now regrets. President Park Geun-hye’s position began to unravel in October 2016 when details of her friendship with Choi Soon-sil emerged. They included revelations that the president had allowed her old friend – who holds no government role – to edit political speeches. Politicians voted in December 2016 to impeach her over the scandal. South Korea’s constitutional court is expected to rule shortly on whether that decision will be upheld. Until then, Park Geun-hye remains formally president but stripped of her powers.